The first part of this volume deals with the changes and continuities in historical approaches over the last fifty years, with three further sections focusing on initial contacts, formal presences, and informal presences. 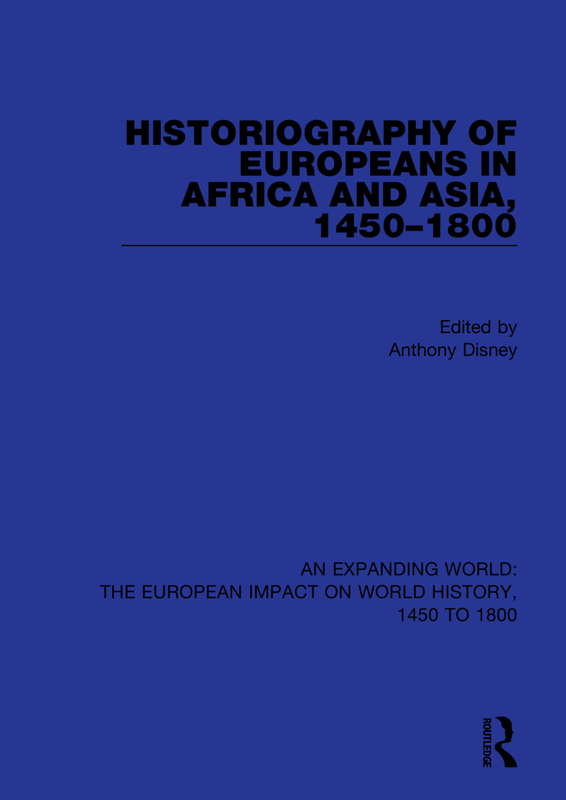 Emphasis has been placed on the major European players in Asia and Africa before 1800 - the Portuguese, Dutch and English, without neglecting the role played by the French, Spanish, Scandinavians and others. Contents: Introductory essay; Part One: On investigating and understanding European presences: historiographical change and continuity: On the 18th century as a category in Indonesian history, J. C. van Leur; Some considerations on Portuguese colonial historiography, C. R. Boxer; Retrospect on J. C. van Leur’s essay on the 18th century as a category in Asian history, P. J. Marshall; Part Two: On beginnings: making contacts, confronting the unfamiliar and surviving: The European approach to the interior of Africa in the 18th century, Robin Hallett; New data on European mortality in West Africa: the Dutch on the Gold Coast, 1719-1760, H. M. Feinberg; Prince Henry and the origins of European expansion, Malyn Newitt; Early Ming images of the Portuguese, K. C. Fok; Part Three: On formal presences: organized settlements and the trend towards dominion: Early English trade and settlement in Asia, 1602-1690, D. K. Bassett; The Portuguese on the Zambesi: an historical interpretation of the Prazo system, Malyn Newitt; Freehold farmers and frontier settlers, 1657-1780, Leonard Guelke; Economic and political expansion: the case of Oudh, P. J. Marshall; Part Four: Informal presences: Individual enterprise and merging in: Exiles and renegades in early 16th-century Portuguese Asia, Maria Augusta Lima Cruz; Indian merchants and English private interests: 1659-1760, Bruce Watson; Merchant in Royal service: Constant Phaulkon as Phraklang in Ayuthaya, 1683-1688, Jurrien van Goor; European exiles, renegades and outlaws and the maritime economy of Asia, c. 1500-1750, G. V. Scammell; Index.